Do you have an auto lover in your life? My hubby loves vehicles, and my kids are no different. Hubby took Mr. J to his very first car show when he was in kindergarten, and Mr. J loved looking at all the different makes and models, and enjoyed having the chance to sit in some of them as well. The Ottawa-Gatineau International Auto Show is back soon, read on for more details and your chance to win!
" Ottawa-Gatineau International Auto Show is right around the corner and I have a family pass to give away courtesy of Ford of Canada. From March 22– 25, the Shaw Centre will be transformed into an auto-lover’s paradise with over 300 new vehicles from 34 of the world’s leading automakers, all under one roof. The Auto Show will also feature auto accessories, custom bikes, and a designated “green zone” where you can learn all about electric vehicles. Be sure to visit the Ford of Canada display on the third level where Canada’s best-selling auto brand will showcase its exciting line up of cars, trucks, SUVs, hybrids and crossovers. If you are looking to stand apart from the crowd, you will want to check out the all-new North American 2018 Eco-Sport. Designed for those who want space-saving convenience, this compact SUV is fun, capable and connected. 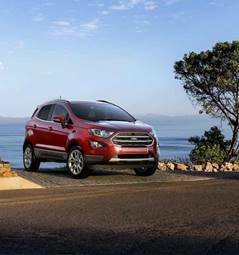 The EcoSport is available in 10 exterior colors, seven ambient lighting options and four trim level offerings." 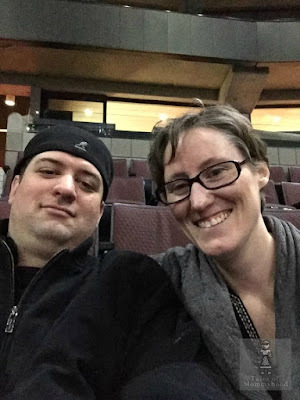 Ford Canada has offered up a family pass for me to giveaway! To enter, you must be 18+, live in the Ottawa area and be able to attend the show. Prize is for entry only, any transportation costs or incidentals are up to the winner. (Family pass valid for 2 adults and 2 children ages 6 – 12). The show runs from 10:00 AM – 10:00 PM from March 22 to March 24 and from 10:00 AM to 5:00 PM on March 25. Complete the giveaway tools form below to enter for your chance to win. Any car that is comfortable and gets me safely from A to Z. I don't drive, so that's really all that matters to me. Well...I come from a Ford family. Bought my first new Ford in 1985..and approx. every 4 years onward. I currently own a Fusion. Dream car is a Mustang.....but thinking I will buy an Escape next..! I like the Subaru line-up of cars.